Kara Dawson is a Professor of Educational Technology in the School of Teaching and Learning at the University of Florida. She started her career teaching 5th, 6th and 7th grade in Virginia Beach, coaching volleyball and swimming and running numerous after school clubs. She became interested in Educational Technology after attending a professional development workshop on authoring software in 1990. She experimented with using technology in her own classroom and taught technology workshops for the district until she decided to attend doctoral school full-time at the University of Virginia (UVa) in 1994. She completed her doctoral degree in Instructional Technology in 1997 while serving as a Technical Writer for the university’s computing center and an internship supervisor. She worked in a post-doctoral position directing the Center for Technology and Teacher Education at UVa until 1999. In 1999, she began working at the University of Florida as an Assistant Professor. She served as the Program Coordinator for the Educational Technology program for 10 years and co-developed 5 programs (online M.Ed., Ed.S. and Ed.D. programs and face-to-face MAE and Ph.D. programs). She also works in the Unified Elementary ProTeach program and has supervised the educational technology courses for the program since 1999. Her scholarship focuses on the ways educational technologies influence teaching and learning within the contexts of K-12 education and online post-secondary environments. She has published over 100 articles and she has also secured over 3 million dollars in external funding and has been recognized for her research and mentoring accomplishments by the University of Florida. 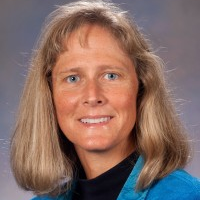 She has also served as the Chair of one of AERA’s largest special interest groups, SIG TACTL (Technology as an Agent of Change in Teaching and Learning) and serves on review boards for numerous journals including Educational Technology Research and Development and Journal of Research on Technology in Education.